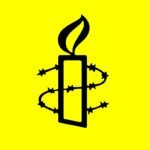 Breaking News: We just heard that the Northern Territory Royal Commission’s final report has been pushed back once again, and is now due on 17 November. As politicians are waiting to see the recommendations before taking action on this issue, we are reviewing our Action Calendar accordingly. We’ll pop it back up with the renewed dates when it’s ready. 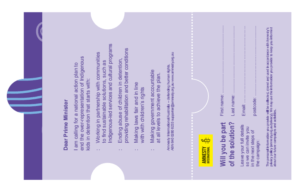 The good news is that the new petition cards have started to arrive in action centres, so now is the time to get out in the community and start collecting actions. Scroll down below to find out more! 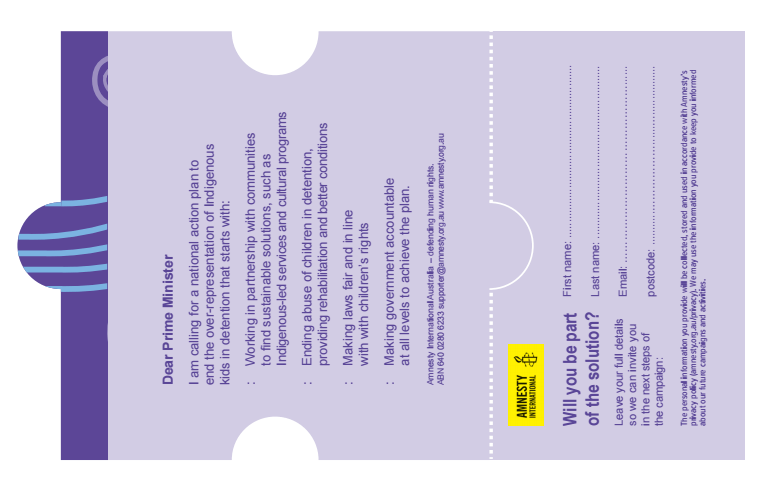 Aboriginal and Torres Strait Islander children are being mistreated in our youth justice system and it cannot continue. 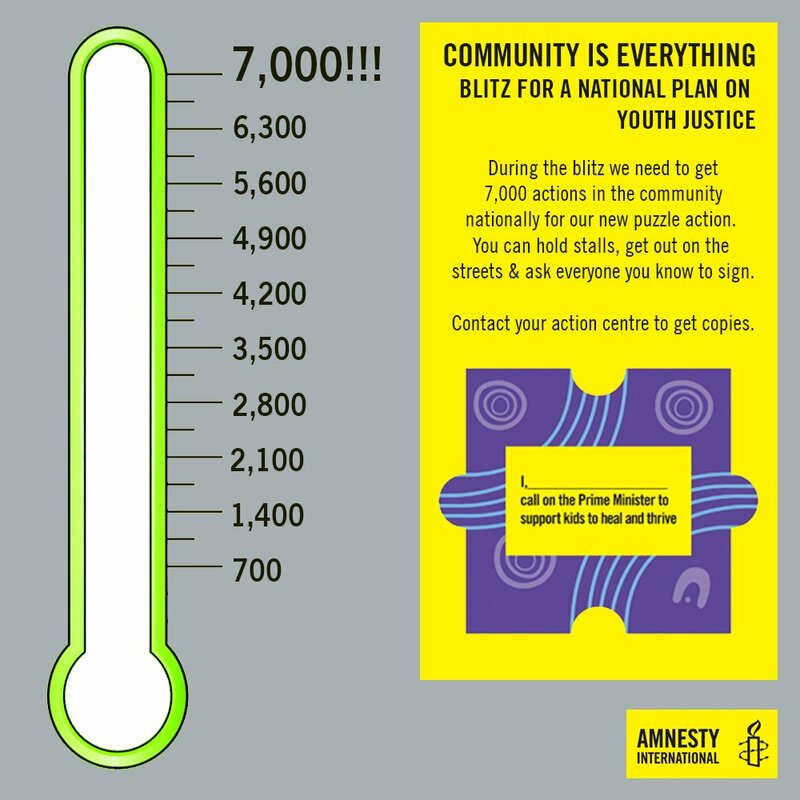 Over the next few months we’re mobilising our movement to achieve national leadership on youth justice. Will you be part of the solution? Encourage the government to be accountable and make public commitments of support. Remember to bookmark this page as we’ll update it regularly with suggestions and resources. We’ve created a handy Guide on how to collect and display the puzzle at your events. 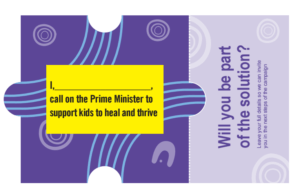 We are aiming to collect 7000 pieces from across Australia to form a giant puzzle to display to the Prime Minister when the report drops, so contact your action centre today to organise collection or delivery. We also have these puzzle selfie pledge signs that people can use in photos for social media – check out the Guide for more information. If you are planning an event during the blitz, don’t forget to log your event form so we can help you promote and resource it. Don’t forget our CIE resources for action page where you’ll find flyers, posters and more. Best of luck building the movement!